﻿ Idyllic Concept Resort, Koh Lipe | FROM $92 - SAVE ON AGODA! Have a question for Idyllic Concept Resort? "Stay here and you will feel really enjoy"
"All good for this resort." 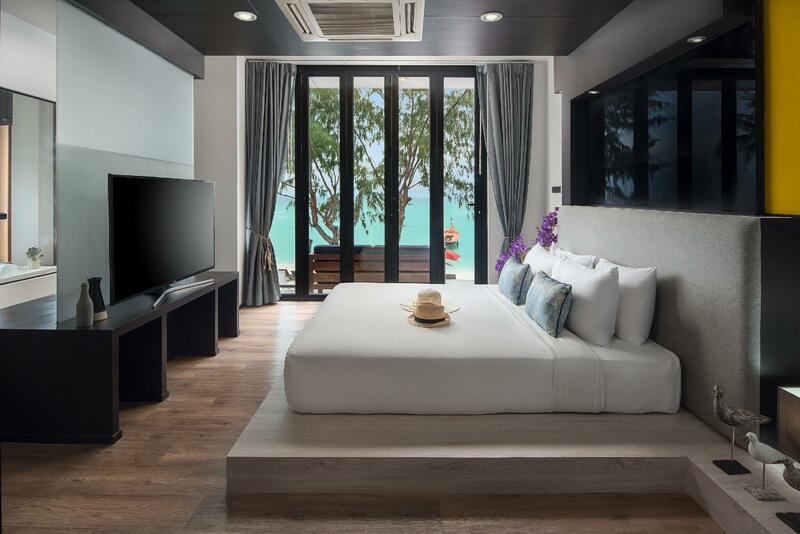 "Lovley stuff, nice and clean rooms, great location :)"
Conveniently located in Koh Lipe, Idyllic Concept Resort is a great base from which to explore this vibrant city. From here, guests can enjoy easy access to all that the lively city has to offer. 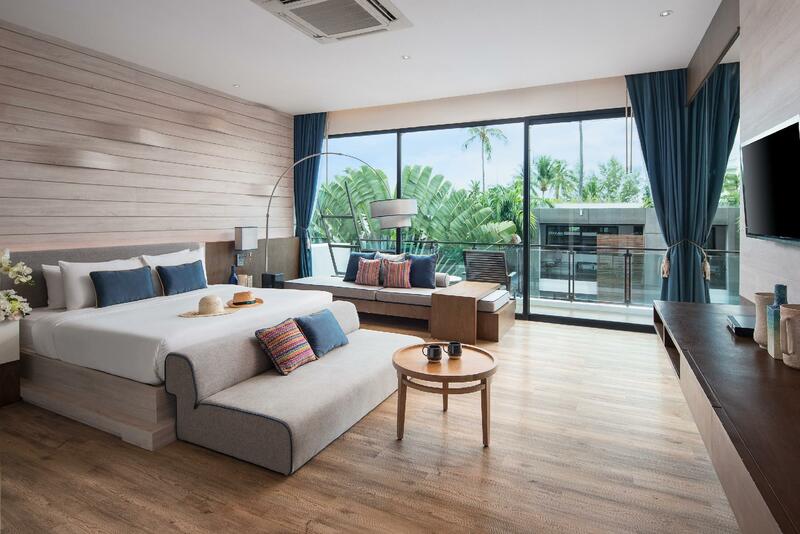 A well-kempt environment and its proximity to Ko Lipe, Walking Street, Sunrise Beach give to this hotel a special charm. 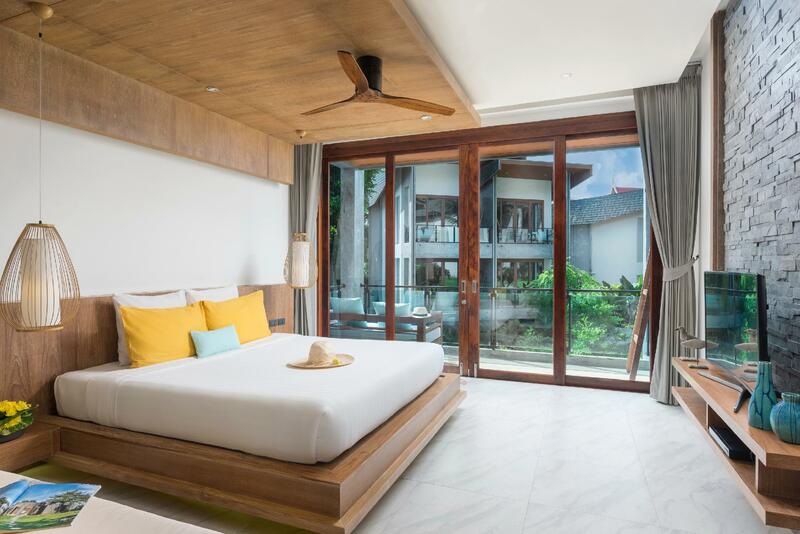 Take advantage of a wealth of unrivaled services and amenities at this Koh Lipe hotel. For the comfort and convenience of guests, the hotel offers free Wi-Fi in all rooms, Wi-Fi in public areas, room service, family room, restaurant. 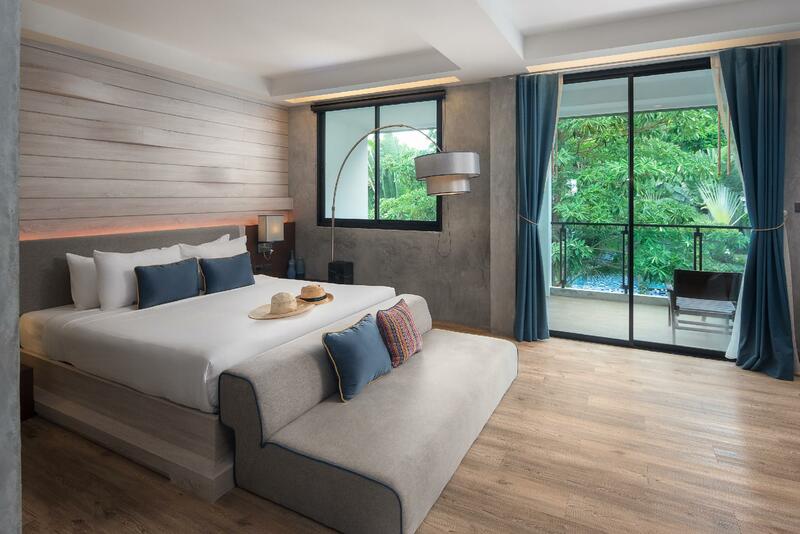 Guests can choose from 62 rooms, all of which exude an atmosphere of total peace and harmony. The hotel offers an excellent variety of recreational facilities, including canoe, snorkeling, outdoor pool, diving, massage. With an ideal location and facilities to match, Idyllic Concept Resort hits the spot in many ways. "This was my third time staying at the Idyllic and each time..."
There will be an additional breakfast charge for children. Deluxe Hill Side and Deluxe Mountain View are located on side of the hill. very pleasure stayed in the resort, there was a beautiful beach in front of resort. water was crystal clear. you can spend a day there. Seafood bbq buffet was good, although there was not much choices , but price is reasonable. there are plenty of seafood restaurants on walking street. took about 5-8 mins on foot to get there. Staffs was helpful and nice. Idyllic has a great beach with decent snorkeling, amazing staff, a decent restaurant with a good breakfast, and fairly clean rooms. The resort is built on a cliff, so depending on where your room is you might have a few sets of stairs to climb. We had an iSea room which was very close to the beach and restaurant. I took a walk around about 1/2 of the island on the beach, and I think Idyllic has one of the best beaches (many other resort beaches are clogged with boats). The main disappointment was the bathroom in the room is open to the outside, so you have to choose between keeping the door closed to keep out the mosquitoes, or opening the door to let the a/c cool the bathroom (as the island is very hot). For the high cost I expected better. Tip: When heading into town, just walk along the beach and cut through one of the other resorts instead of walking all the way up and back down. Nice beach and beautiful view , we even can snorkel in front of the beach of the hotel and it was beautiful with sea anemone and fish. The location is good. We can walk to walking street with around 5-10 minuets. Recommend this hotel. Absolutely loved our stay here. The rooms are a bit snug when you have a little one and a cot but they are elegant and clean. The pool was lovely and we enjoyed our breakfast every morning. Super friendly staff and perfect little spot. Make sure to grab a sun lounger early in the morning though as they can fill up pretty fast. very nice resort, good location, clean room and some attentive staffs Only con for this resort is people can smoke everywhere. For someone who doesn’t the cigarette smell, this can be quite disturbing. Beachfront and i breeze rooms are super nice. Free kayaking to nearby small island was fun as you can snokel and see a variety of fish. Food is about 200 baht and tasted very good. The banana pancake with condense milk at breakfast station is a must try! Lots of tea, juice and coffee selections. View at restaurant is great and staff are all great. Many beach chairs available and you can ask them to add chairs or umbrellas too. Only 5 to 8 mins walk to walking street. Sunrise was great. Sea is great to swim in. Accommodation was very good, spacious and very clean. Danny and Beni worked very hard and could not do enough for us, thank you. Pool area was good, with the pool bar well stocked and excellent service all day. Plenty of sun beds and umbrellas on the beach which were looked after by the staff and moved to wherever you wanted them to be. I-luxury rooms and bathroom were spacious and with green open balcony and green view. Hotel offers sun beds and umbrellas for the guests, good service on the beach. The hotel restaurant was a bit pricey but worth it. Every evening we could enjoy some live music and fire show. 15 min walk to the crowded Walking Street. We really recomend this hotel and this hotel's ocean!!!!!! I wanted to stay more!!!! soooooo Nice! We have just stayed at the Idyllic for 6 nights. We had a wonderful time, the place is beautiful and the staff are exeptional. Special thanks to the manageress, Danny and Von for making our stay so wonderful. We had a great time staying in this resort. The greatest feature we like with 5his place was the great friendly staff as if we had not met them for so man6 years. We felt warm a5 heart! Located in sunrise beach at the north end corner, this is a quiet place, green and clear water. We snorkeled several time during our stay. Although 25% of the coral was destroyed, it was still enjoyable to float around to see many fishes. Breakfast was great, room was clean. A 10 minute walk would be walking street where choices of food were plentiful. The hotel food is a bit pricier but quality was great. We stayed in the I-comfy room. The room is spacious with the huge bathroom, long bathtub, wide basin, and balcony. Unlike most other hotels that I saw, the interior and exterior design of the hotel were very modern and comfortable. The hotel is located just beside sunrise beach, however not all rooms (like ours) were directly beside the beach. The hotel itself is very big with many different rooms and room types so depending on which room type you stay in, it might be further away from the beach. The hotel do provide free kayak and lifejacket where we can kayak along sunrise beach. Do wake up early and head down the beach to enjoy the sunrise in the morning. Distance towards walking street wasn't too far. We took around 10 mins to walk there. However, it was pretty dark when walking back to the hotel at night. The buffet breakfast has a decent spread. The hotel restaurant was just beside the beach where we can enjoy the ocean view and the sound of the waves. Resort was just simply amazing. We booked an i-Luxury room and it was breathlessly beautiful and spacious. We didn’t want to leave the room. Service was just simply friendly. One of our friends found the new French Manager cute. Haha he was super friendly and very sociable. He chatted with all of us for a while. Super nice guy. The resort located on the sunrise side of the island so we got to observe the beautiful sunrise in the morning. Food was tasty with excellent presentation. Nothing to complain about except for the little details inside and outside the room. Cleaning staff needed a little more work when it comes to cleaning to keep the facility and room spotless. We stayed in icomfy room and it was a nice room and quiet as requested. All staffs are very nice especially Ying. She is very helpful and kind. The breakfast is various and quite impressive. Unfortunately, we were very disappointed with the dinner we had there at the last night. Considering the price (quite high), we expected something with better taste and quality. Free canoeing provided was a plus. Fun canoeing to adjacent island less than 200m away. Pool by the beach, fresh coconut served to your lounge chair. Perfect. The staff was super service minded and nice, the room we where given was very close to the reception and entrance to the compound, which was noisy. Our kids are super sound sensitive when sleeping, so we got a new room and an upgrade for no extra charge! Thanks to the super nice staff at the reception for being helpful and flexible. The room where nice, spacious, clean and had all the requirements we needed. the breakfast buffet had really delicious Röti pancakes, but otherwise the buffet was a bit dull. The pools where very much appreciated by everyone in the family and many possibilities to sit in the shade. Also the beach was perfect, and always available sun beds. What really disappointed me however was the cleanliness of the pool and beach area - the lawn was filled with cigarette buds, ballon leftovers, dog poop and other trash - I didn’t feel comfortable walking my without shoes. Or having the kids play there. The Idyllic Resort is one of the nicest hotels in Koh Lipe. The resort is located at the south end of Sunrise Beach, with one of the best snorkelling areas right in front. It is clean, modern and beautifully landscaped. The beach is fantastic with the longboats anchored nearby but not right is front of the resort. The staff is very friendly and overall the service is great. The restaurant offers a lovely breakfast buffet and a variety of a-la-carte options for lunch and dinner. The food is excellent. We stayed in the very large and quiet "I-Comfy" room (#501) and it was perfect!